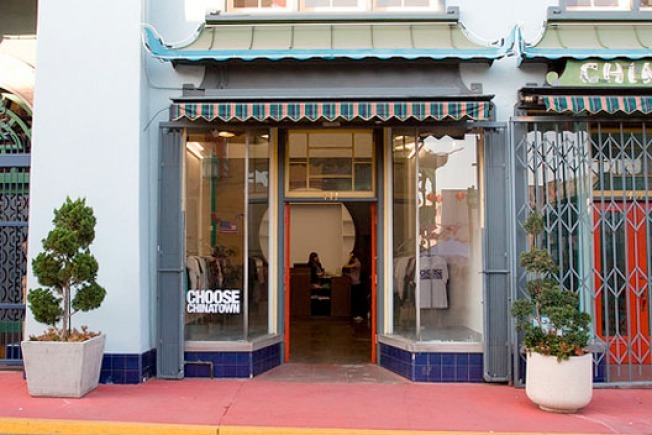 CHINATOWN: It's a hipster marriage in heaven: A joint venture of Welcome Hunters and Lion's Den, Choose Chinatown is setting up shop at 441 Gin Ling Way. Lots of hipper than thou European and Asian labels await. SANTA MONICA: Hey, curly-haired people, some love for you: A famous NYC-based hair care/stylists company that specializes in curly hair is coming to Santa Monica. Per sister Racked LA, the stylists have been trained in the Ouidad "carving and slicing" cutting method and the "rake and shake" styling technique. Good times await. GLENDALE: Honestly, how is our old friend Americana at Brand doing? Selling much? Renting out? We drove by recently at night and it seemed mighty dark up there on the residential side. In the meantime, let's focus on the shops. The Sony Style store just opened, and just in time for its new Sony Electronics new PRS-700 digital reader.